Dr. Kyra Krakos is an Assistant Professor of Biology at Maryville University and Research Associate at Missouri Botanical Garden. She received her Masters Degree in Integrative Biology and Evolution from Brigham Young University and her PhD in Evolution, Ecology, and Population Biology from Washington University in St. Louis. Kyra has also worked as a visiting researcher at Harvard University. Kyra is with us today to tell us about her journey through life and science. Kyra teaches courses in Ecology, Plants and People, Evolution, Conservation and Sustainability, and Botany. Her lab focuses on two main areas of research that emphasize the need to understand the dynamics of the natural world in a changing environment. First, she studies the evolution and ecology of plant reproduction, including plant-pollinator interactions and breeding systems. Second, she is the PI for the Maryville Honeysuckle project that is studying local, green solutions to invasive species. Kyra’s Masters thesis work focused on the impacts of invasive species on the pollination systems of several tropical plant species. Her later doctorate work focused on the ecology and evolution of plant reproductive biology, using the Oenothera genus as a study system. 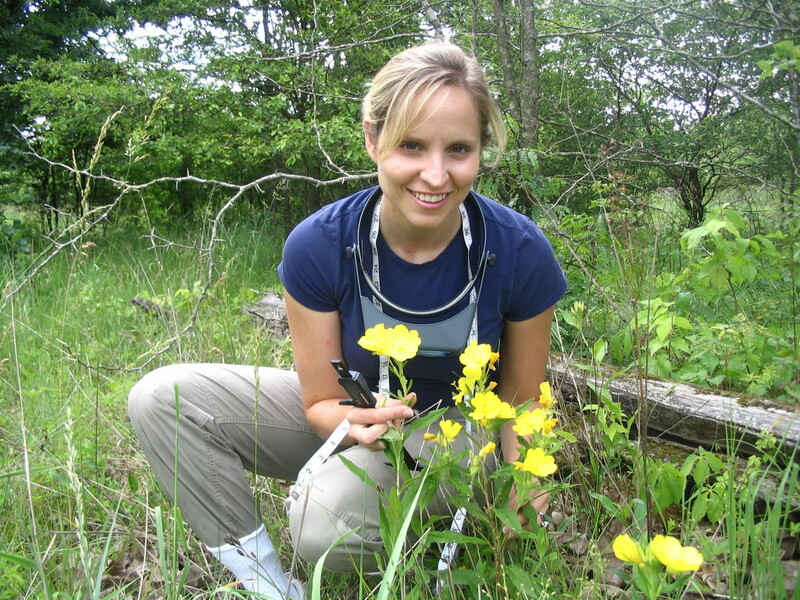 Kyra is a member of the Botanical Society for America, American Women in Science, and serves as the co-director the Missouri state Junior Science, Engineering, and Humanities Symposium. She has received funding from NSF,BSA, Sigma Xi, American Women in Science, and National Parks. Kyra is a frequent invited guest speaker at academic and local institutions.